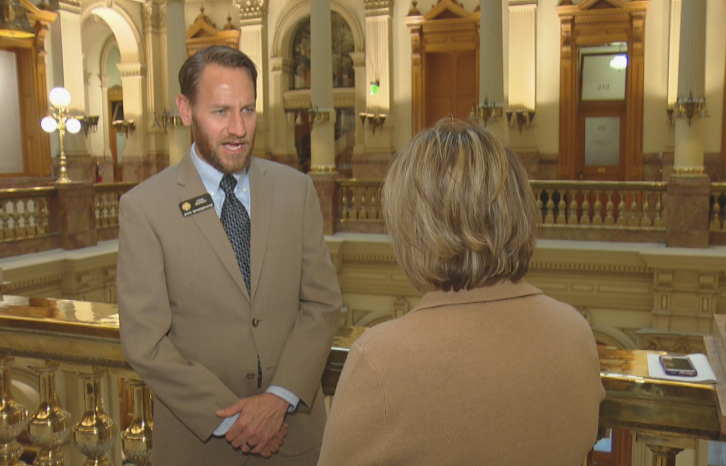 DENVER (CBS4) – Transparency in health care pricing is coming under scrutiny at the State Capitol like never before. Lawmakers have already introduced a half dozen bills dealing with health care costs. They’re going after hospitals, drug companies and insurers to shed light on an industry that touches every Coloradans life. Jeanine Draut among those watching closely. She buys her health insurance on the individual market where she pays $600 a month for insurance she says she can’t afford to use. “I try not to use healthcare because those high deductible plans have $5,000 deductibles,” she said. This session, she may get her wish. Rep. Chris Kennedy is taking the lead on health care reform starting with hospital transparency. He says hospitals are charging privately insured patients 66 percent more than their care actually costs even though he says the state is reimbursing hospitals an average of $200 million a year more for Medicaid. “I think there’s some question particularly when we see 40 percent profit margin at some for profit hospitals in Denver. Are we actually distributing dollars right?” Kennedy asked. Lawmakers also demanding more transparency by pharmaceutical companies. 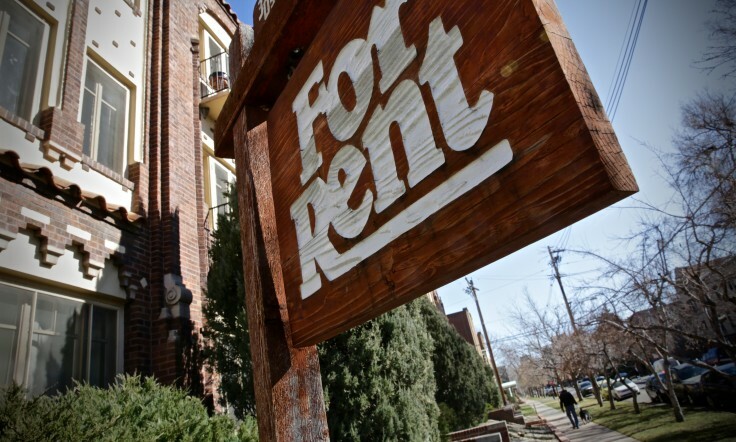 Insurance reform is also on the agenda with bills to stabilize prices on the exchange and create a Medicaid buy-in plan for some Coloradans in high cost regions. While Democrats are in control of both chambers, Kennedy says there is bi-partisan support for many of the bills. Draut is hopeful some reform will pass this year. The nonprofit Colorado Consumer Health Initiative says health insurance premiums are now more than $13,000 a year for a family of four. 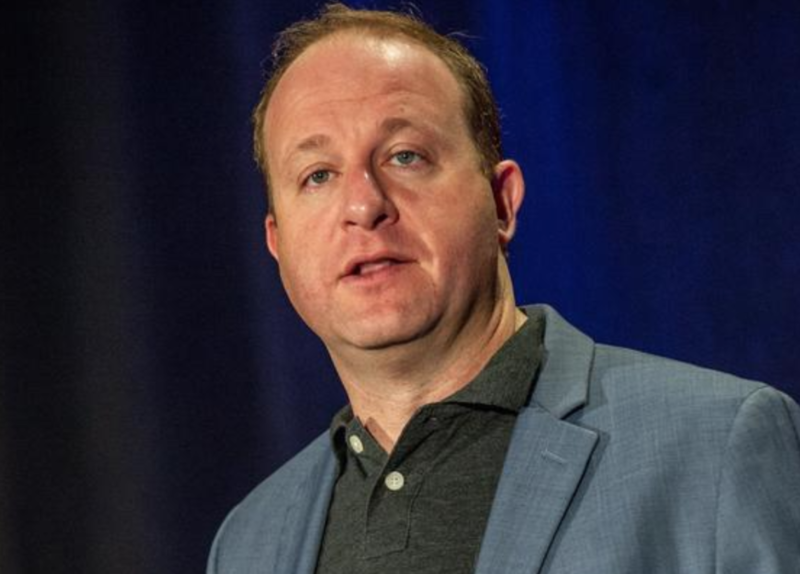 When Gov.-elect Jared Polis offers his inaugural address this morning, executives in sectors ranging from oil and gas to technology to small business will be listening for clues on what kinds of changes Colorado’s top elected official wants to bring after a sometimes opaque set of goals offered during his successful 2018 campaign. But maybe no one will be watching with as much interests as leaders in the health-care industry. The former Democratic congressman’s most strident promise was to make a series of changes in his first 100 days in office that would begin to reduce hospital and pharmaceutical costs, would offer more access to behavioral-health services and would offer special attention to the mountain and Western Slope areas of the state that pay some of the highest costs in the nation for health insurance. His lieutenant governor, former state Rep. Dianne Primavera, marked her eight years in the Legislature with numerous attempts to mandate greater insurance coverage of costly conditions. And even before Polis takes his oath of office, his agenda appears to be underway. 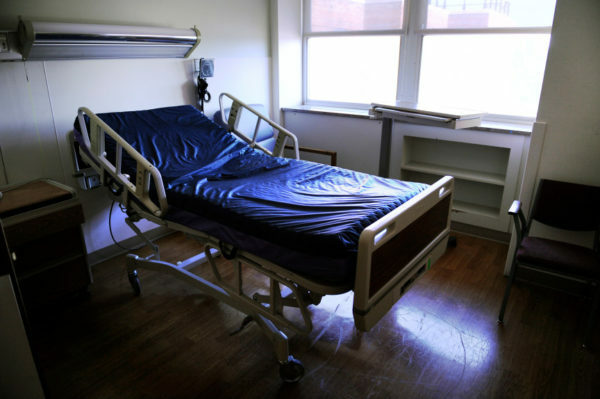 On the first day of the 2019 legislative session Friday, Democrats introduced bills to require much greater transparency around hospitals’ costs and expenses, to allow individuals in the highest-cost counties to participate in same insurance plan offered to state government workers and to explore a publicly administered insurance plan for individuals who don’t qualify for Medicaid. What this means for employers who purchase health insurance or for health-care businesses in Colorado — from hospitals to doctors to drug manufacturers — remains unclear. But despite the stated belief of Colorado Hospital Association officials that they don’t feel they “are on the menu” for the Legislature, the general consensus is that the entire sector may have to prepare for new regulations that both limit how they operate and, in some senses, create more competition from the government for the business they now offer. During his time representing the Boulder-based 2nd Congressional District from 2009-19, Polis was an outspoken supporter first of the Affordable Care Act, better known as Obamacare, and then of creating a single-payer national health-care plansimilar to those offered in most European countries. The entrepreneur said during the campaign that universal, government-run health insurance remains his goal but added that he wants to see that come from Congress rather than pushing Colorado to go it alone. Instead, his road map, laid out during the campaign, involves a combination of changing state laws and giving more enforcement capability to existing departments in order to affect cost, access and care. On the enforcement side, Polis said he plans to give the Colorado Division of Insurance more power to reject proposed rate hikes and to investigate contracts between insurers and hospitals that he believes have led to costs of services remaining abnormally high in acute-care facilities, particularly in areas with little hospital competition. He also wants to take on insurers whom he doesn’t believe are offering parity in physical and behavioral health benefits, and he wants to penalize drug companies for over-inflated prices. On the legislative side, Polis has talked often about establishing a reinsurance program that assesses fees on existing health-insurance policies throughout the state in order to create a pool that can cover the highest-cost patients and help to slow the rise of costly individual policies. He’s also talked about requiring more transparency in the costs incurred by hospitals and drug companies in determining their prices and in resurrecting a plan rejected by the administration of term-limited Gov. John Hickenlooper that would put all the state under the same insurance rating area — a plan that would bring down costs in the mountains but raise them in Denver and along most of the Front Range. So far, there is no sign of that single-rating-area plan, and the newly elected legislator who covers most of the most price-affected counties, Democratic Rep. Julie McCluskie of Dillon, said that is not on her agenda. But McCluskie will sponsor the reinsurance bill that is guaranteed to set off sparks with the business community. A reinsurance program, as it’s been done in other states, would tack assessments onto employer-sponsored and individual plans in order to create a pool of money that would fund the highest individual claims in the state after costs exceed a certain level. The idea, put forth in a failed 2018 bill, is that insurers could limit the escalation of individual-plan costs, which rose by more than 40 percent in 2017 and 2018 combined in Colorado, if they knew they had a backstop they could reach into for the most catastrophic instances of care. Business leaders, however, don’t like the idea that they would be called upon to subsidize the costs of plans for individuals who don’t work for them. Both Furman and Denver Metro Chamber of Commerce President/CEO Kelly Brough said their members are resistant to any plan that does not incorporate some other source of funding, either from the state or federal governments. McCluskie, who has not introduced the bill yet because she continues to work on its details, said she is looking into possible federal funds but knows that it will be hard to find significant state money in the federal budget this year. 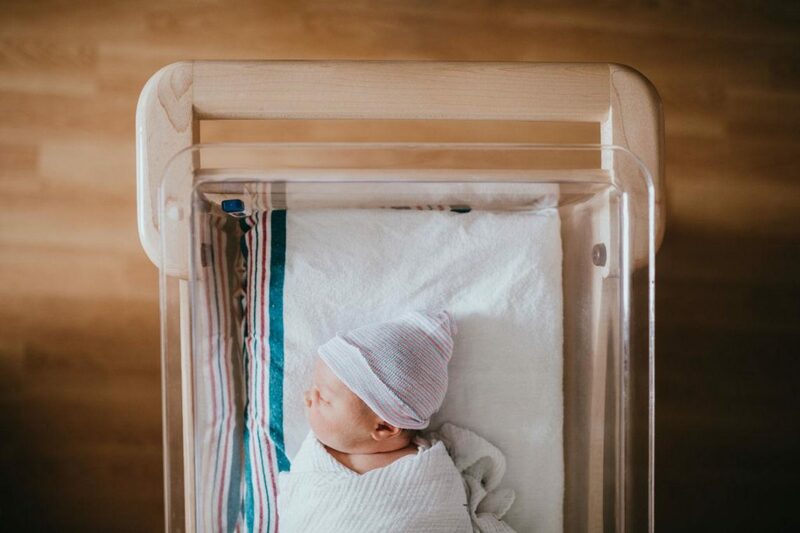 Her goal is not to over-tax businesses but to bring some relief to individuals and small-business owners who can not afford individual policies now — at least for three to five years until some sort of bigger-picture federal health-care reform may come. Sen. Kerry Donovan, D-Vail, has introduced a bill that would allow residents in the highest-cost counties for health insurance to enroll in a pilot program that lets them buy into the same plan through which state-government workers can purchase policies. 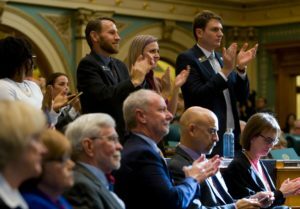 However, Senate Bill 4, in its initial version, does not allow small businesses to buy into that plan — a goal that groups like Good Business Colorado have said they would like to see in any kind of program expanding the state’s insurance plan to non-government workers. Meanwhile, Rep. Chris Kennedy, D-Lakewood, authored House Bill 1001, expected to get its first committee hearing in the coming weeks, which would require hospitals to turn over to the state a slew of information about their expenses and revenues. 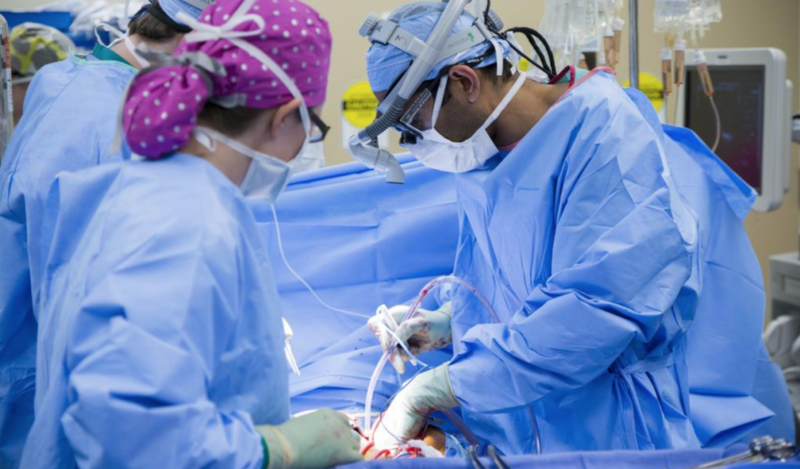 That information would include statistics such as gross patient-service revenue, all operating expenses, the total number of inpatient surgeries, the number of admissions from the emergency department the percentage of different categories of expenses that contribute to the overall expenses of hospitals. Kennedy, who’s been talking with Polis and his staffers as he’s put together the newest version of his twice-killed bill, said the goal of collecting the information is find ways to stop the constant rise of hospital prices — either through determining ways the state could use its Medicaid reimbursements to incentivize lower prices or by opening it to the public to have them demand changes. While Kennedy said that he normally would pause before seeking and opening up such expenses of private companies, he said the state is paying too much to these hospitals and too many consumers are being hurt by prices to not have the government step in to explore what it can do. 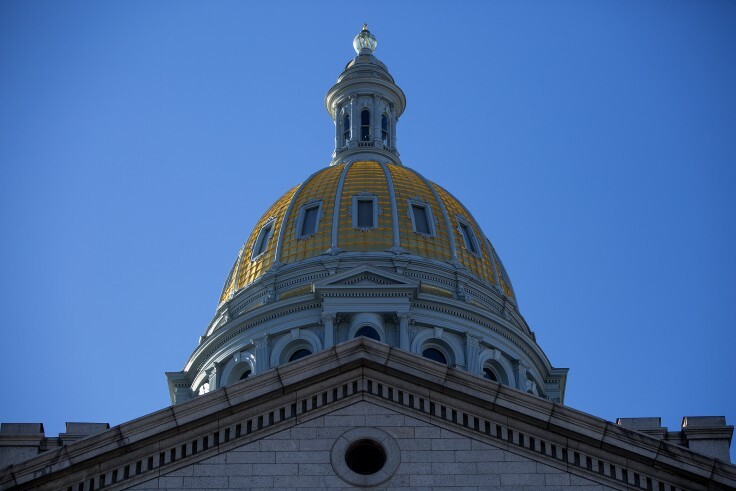 Despite this, Katherine Mulready, vice president of legislative policy for the Colorado Hospital Association, said her group plans to be proactive rather than just defensive in the face of a new focus on health care by Polis and the legislative Democrats who control both the House and the Senate for the first time since 2014. Hospital leaders hope to push a bill that could establish rules around more consumer transparency — making prices of procedures clearer to patients, rather than making the expenses of internal operations clearer to legislators — and they want to work on an administrative efficiency effort that will allow patients to get just one bill for services rather than the slew they now receive. Mulready said, in fact, that she believes the new governor’s focus could be positive in that it could move the ball forward on issues that have stagnated in the past, such as efforts to cut down on surprise out-of-network billing that have led to an outcry against hospitals even as those institutions say they want to work on the problem as long as doctors, insurers and others must come to the table as well. But she is under no illusion that health care is going to be a focus of Gov.-elect Polis in a way that could leave to significant changes. The 2019 Legislative Session opened on Friday, January 4th. Incoming Speaker of the House KC Becker (D-Boulder) delivered her opening day remarks, and we introduced our first ten pieces of legislation. These bill represent some of our top priorities for the session, and I’m honored to have my hospital cost transparency bill introduced as House Bill 19-1001! So what all will we be working on? Visit my 2019 priorities page for more.